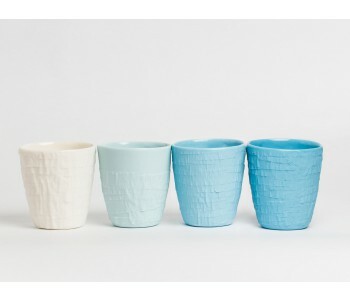 The porcelain cup TAPED is special because of its relief and color palette. The designers of Studio PS were inspired by the texture of skin when creating the relief. Within the color palette 'shades of blue', they started with bright blue, which is then lightened into light green. Studio PS was inspired by skin for the design of the TAPED cup. 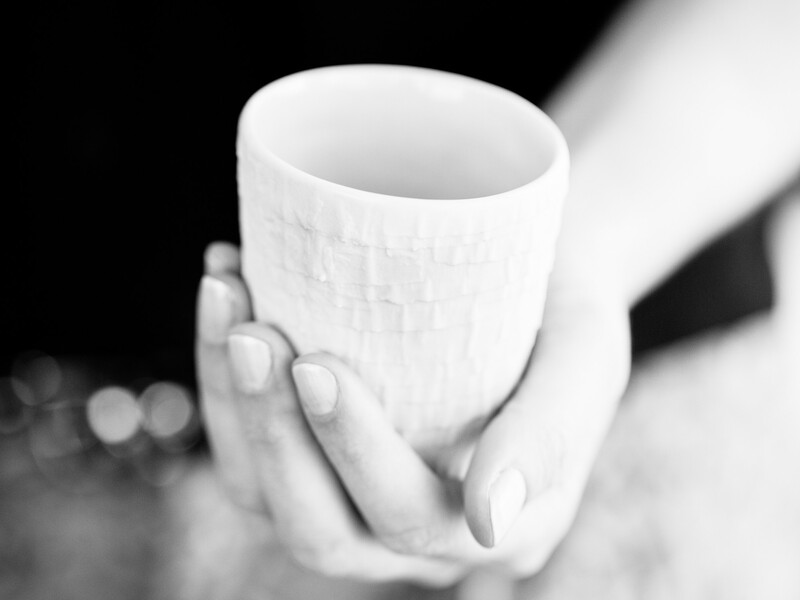 The outside of the cup has a relief that recalls the texture of skin. 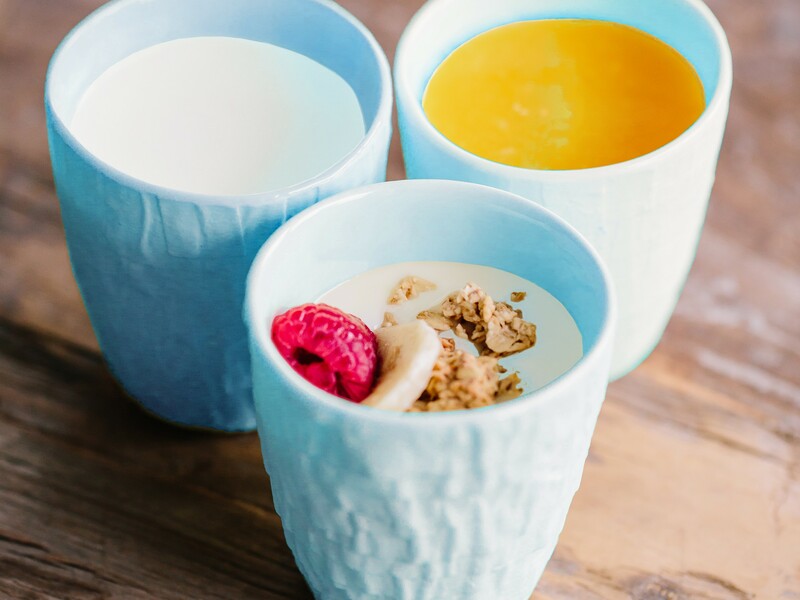 The cup has an extraordinary design thanks to the subtle imperfections and unglazed outside and the cup is comfortable in your hand. 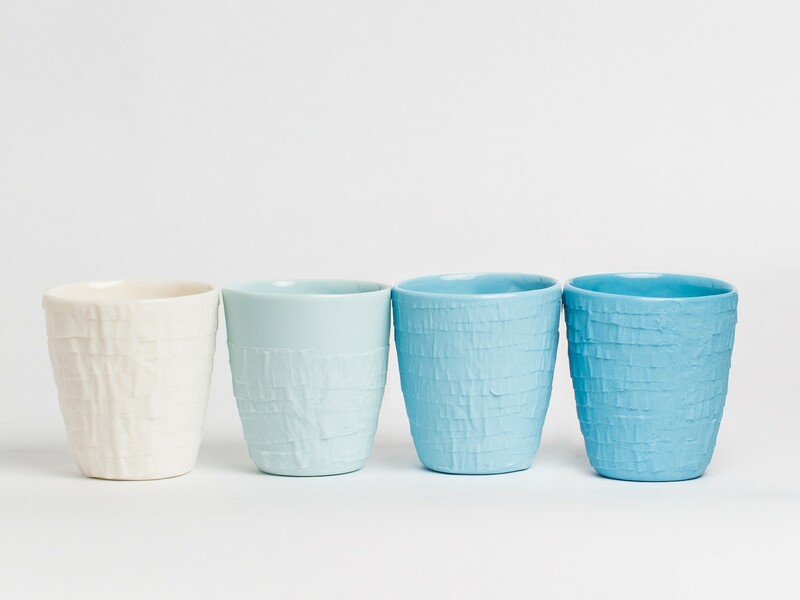 You get 4 cups of the 'shades of blue' color series in every set. The cups in the set are all blue, but in 4 different shades. Size and particularities: the cup has as height of 7,8 cm and a diameter of 7 cm. The cup is glazed on the inside. But not on the outside. However, the cup is still microwave and dishwasher resistant.